Hand lettered chalkboards are a great way to share information with your guests and decorate at the same time. 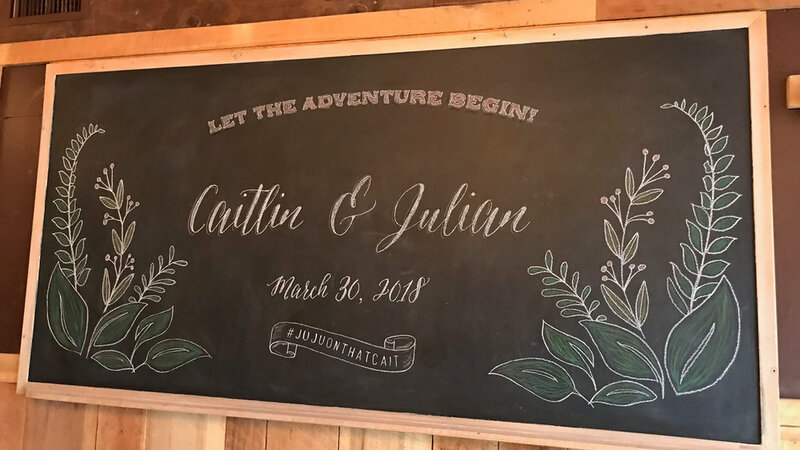 The handmade nature of a chalkboard lends itself to an aesthetic of rustic, industrial elegance, while the lettering and style are customized to complement the feel of your event and venue. Chalkboards make beautiful welcome signs and ceremony programs for guests to admire as they enter. And your reception looks great when decorated with hand drawn menus, seating charts and photobooth signage. We can create custom boards that embody just the right combination of rustic, vintage, and elegant to suit your unique event.